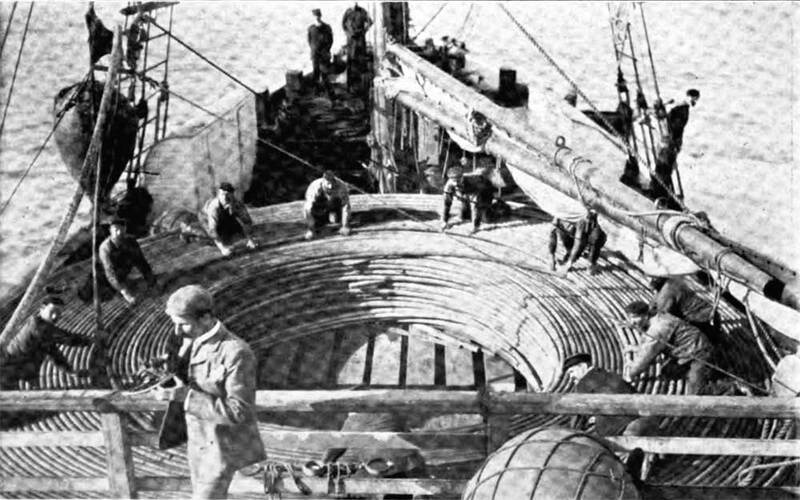 The laying of the Commercial Paciﬁc Cable was one of the greatest accomplishments of the commercial and industrial history of America: crossing the Atlantic with a telegraphic cable. 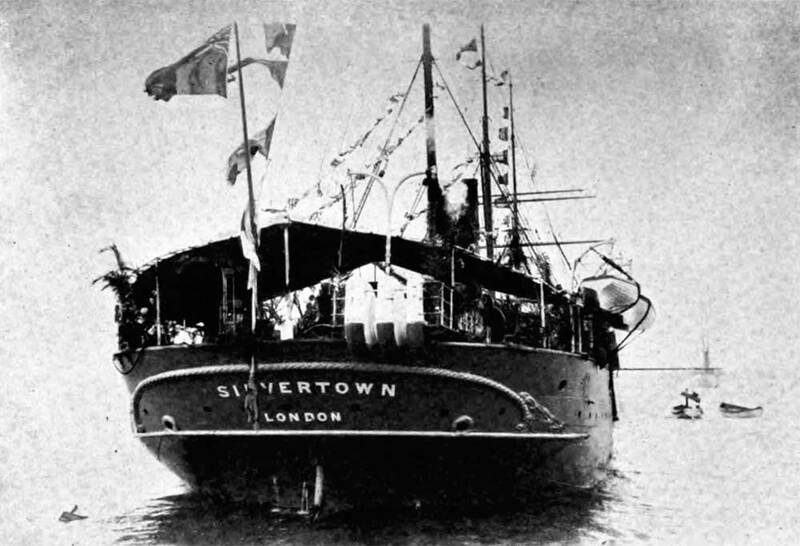 On this day, December 14, 1902, the cable ship Silvertown, of the India Rubber Gutta-percha and Telegraph Company, sailed from San Francisco on a mission to lay telegraphic cable across the Pacific. From that beautiful island paradise, on January 1, 1903, they sent a successful test message. A few days later the system was up and running and available to the public. 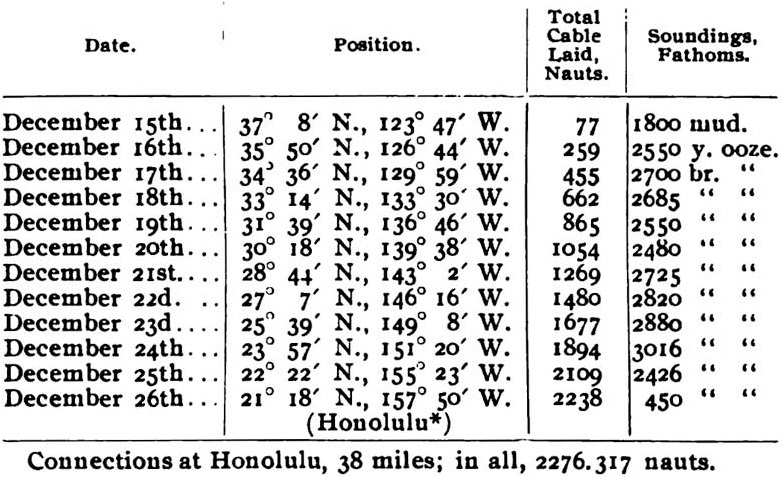 Later that summer cables were extended from Honolulu to Midway, from Midway to Guam, and finally from Guam to Manila.